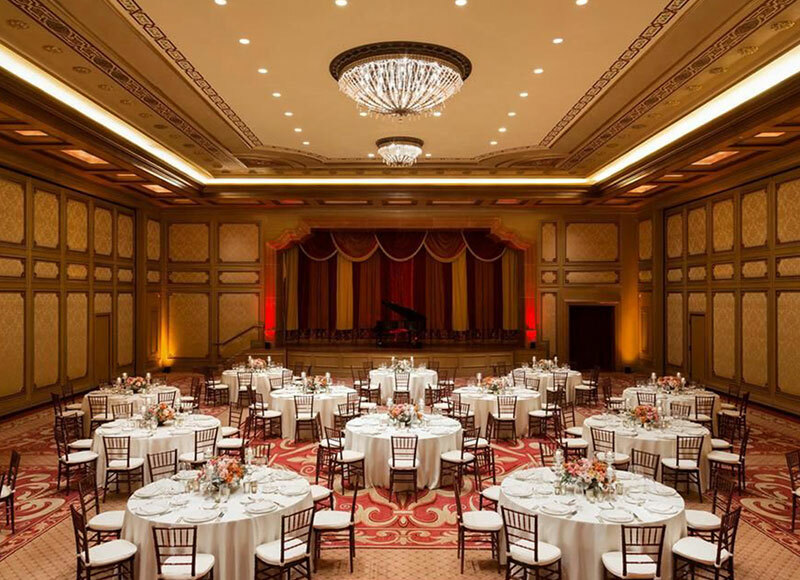 We provided on-site field finishing in Newport Beach for the Pelican Hill Resort and Spa. 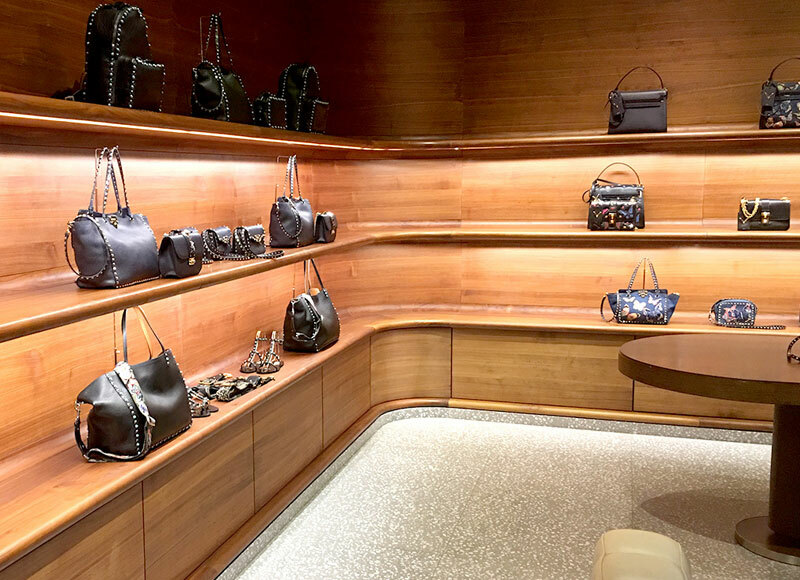 Our highly skilled team are experts at a wide range of commercial finishing services, including wood antiquing, gold/silver leafing, lacquer and conversion varnishes, and metal finishing. 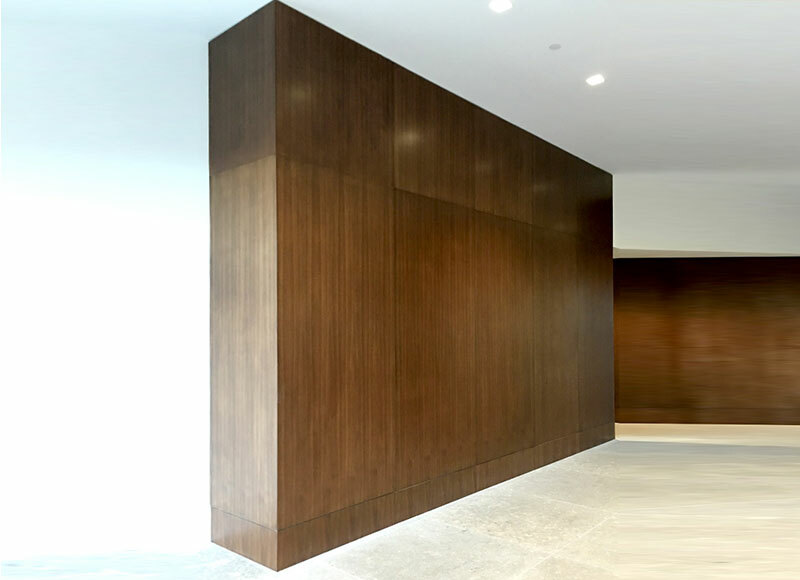 The LinkedIn offices in San Francisco received expert wood finishing and on-site field finishing services for their exotic wood paneling. The rare Burma Teak was specifically cultivated just for this job, and was milled into solid ¾ panks. We used a high quality clear oil to create a natural color wood finish. 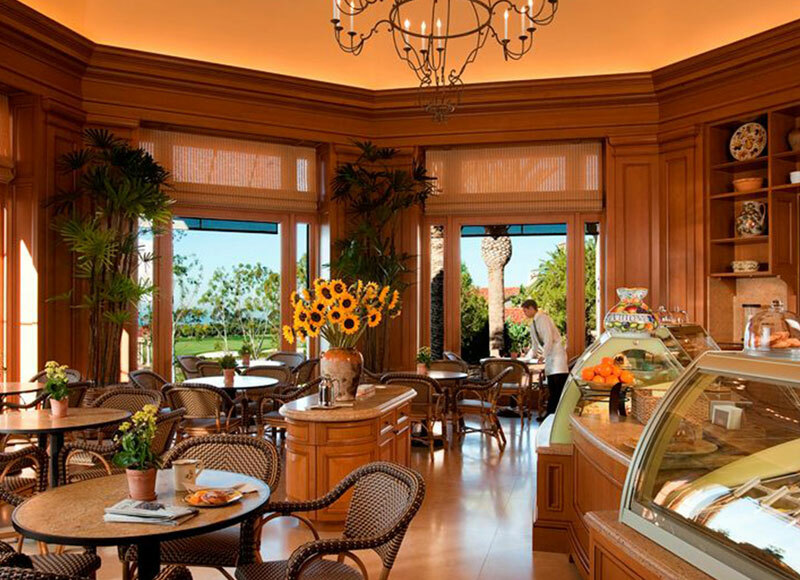 We touched up and refinished all the custom-made millwork in Newport Beach for the Pelican Hill Resort’s Cafe and Market. 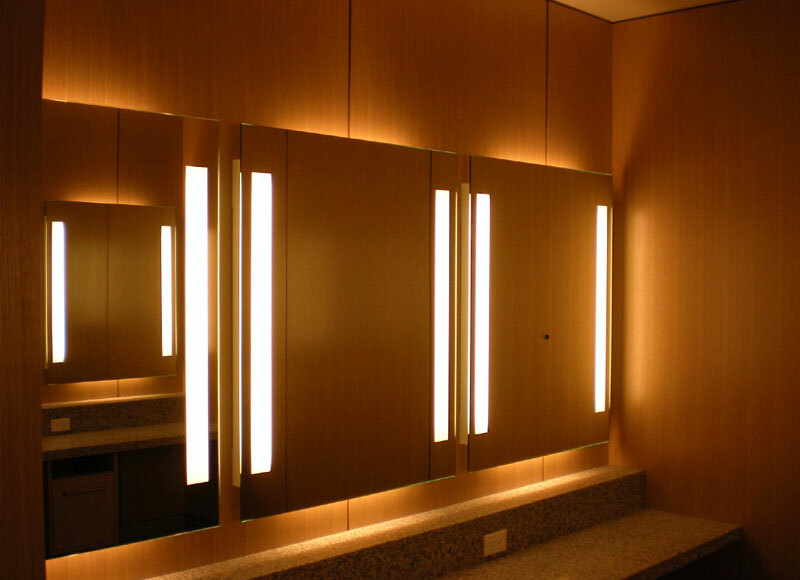 We offer in-house millwork finishing at our Pomona, CA workshop. 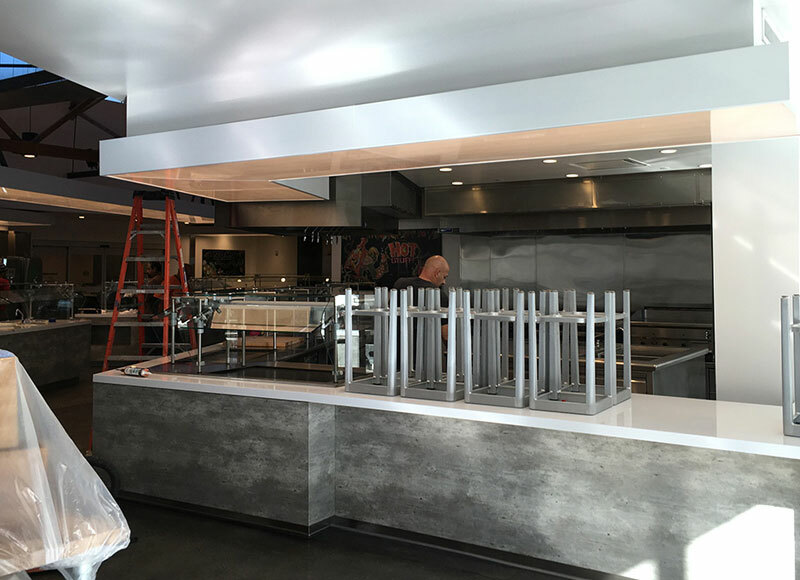 C T Finishing completed on-site field finishing in Las Vegas for The Wicked Spoon Buffet. 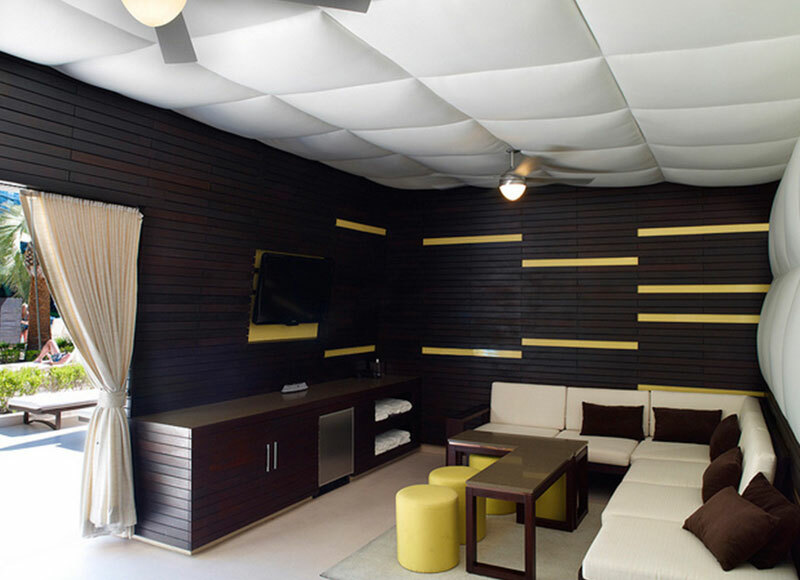 We provided wood finishing, general touch-ups, and shading for the solid and veneered wenge wood. 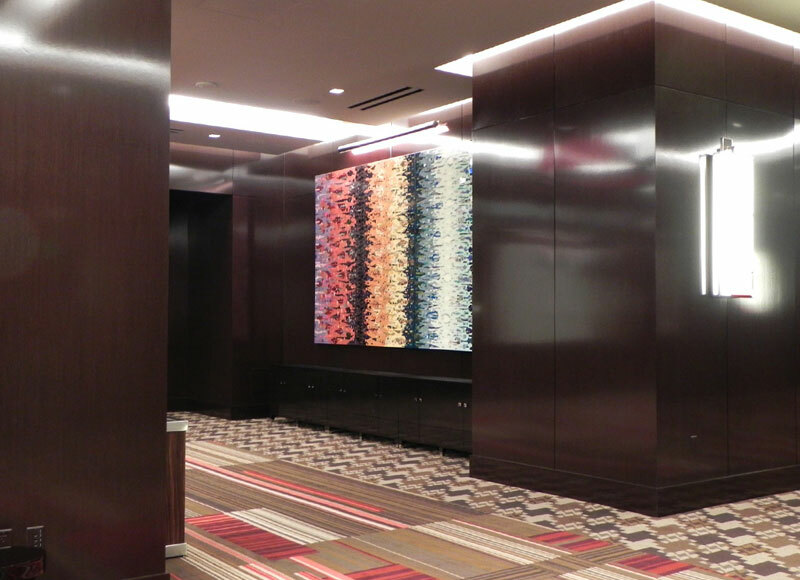 We performed interior touch-ups and wood refinishing in Las Vegas for this luxury hotel. 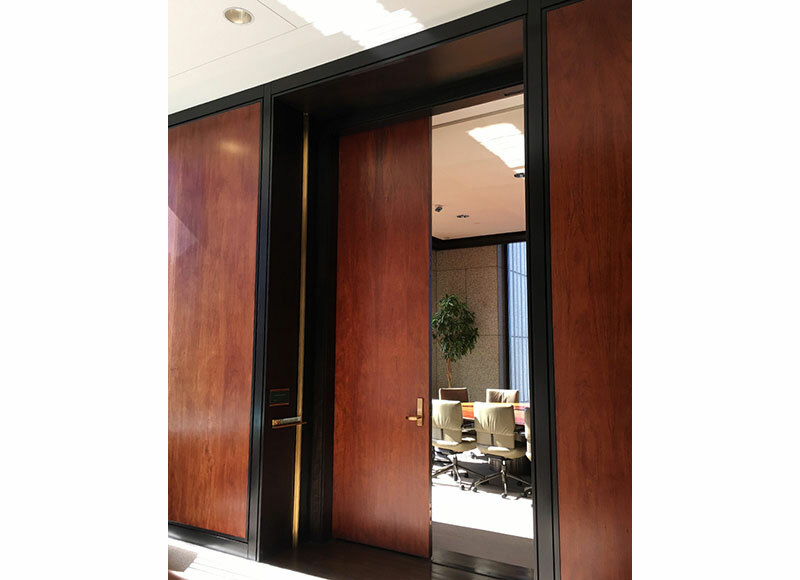 The solid and veneered wenge wood paneling, baseboards, columns, and portals received a beautiful espresso stain finish. 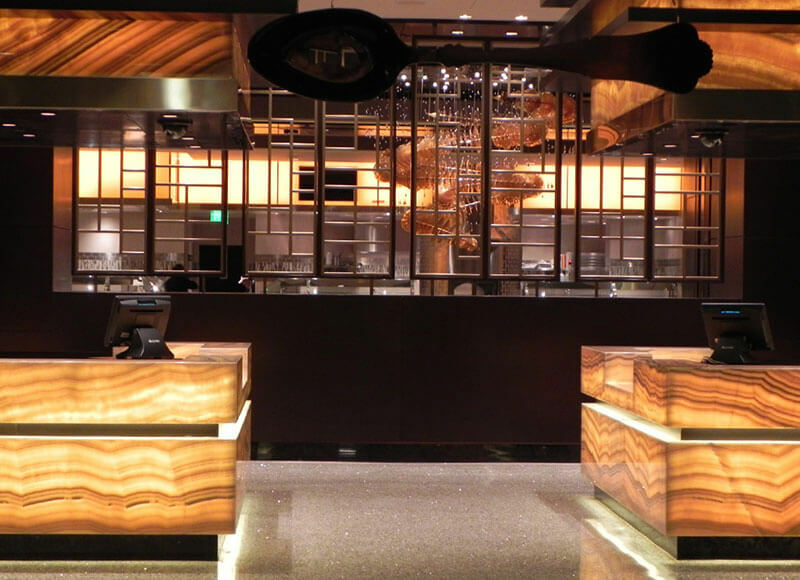 C T Finishing provided expert field finishing in Las Vegas for solid wood countertops at The Chandelier Lounge. 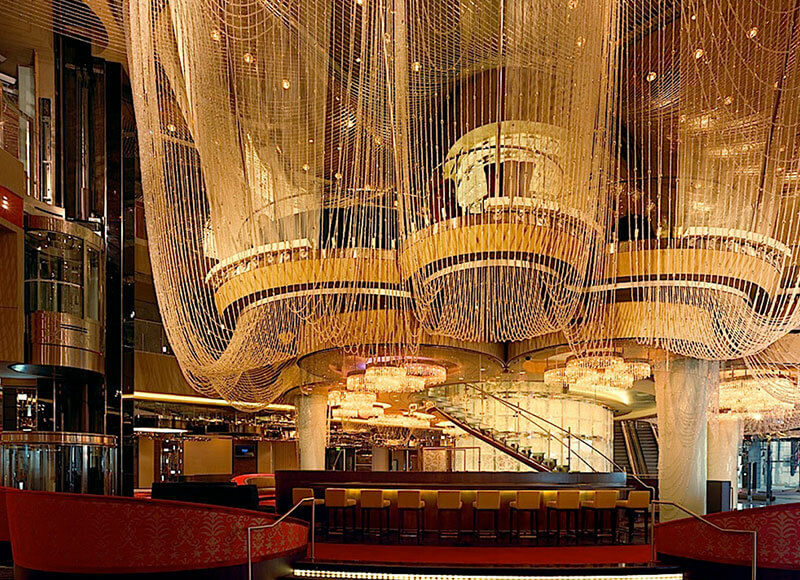 This famous multi-story lounge is located in the Cosmopolitan Resort, and features three unique bar experiences at different levels of the chandelier. 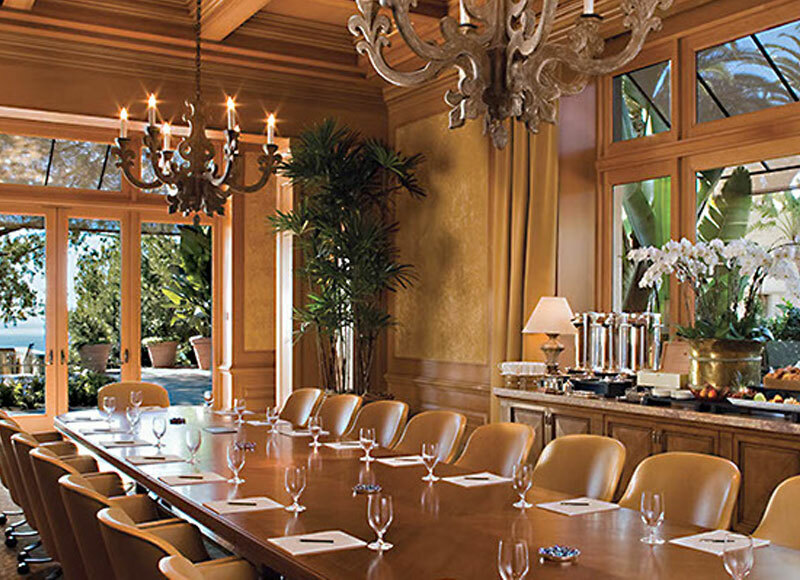 Our experienced staff provided meticulous commercial wood finishing in Newport Beach for The Resort at Pelican Hill. 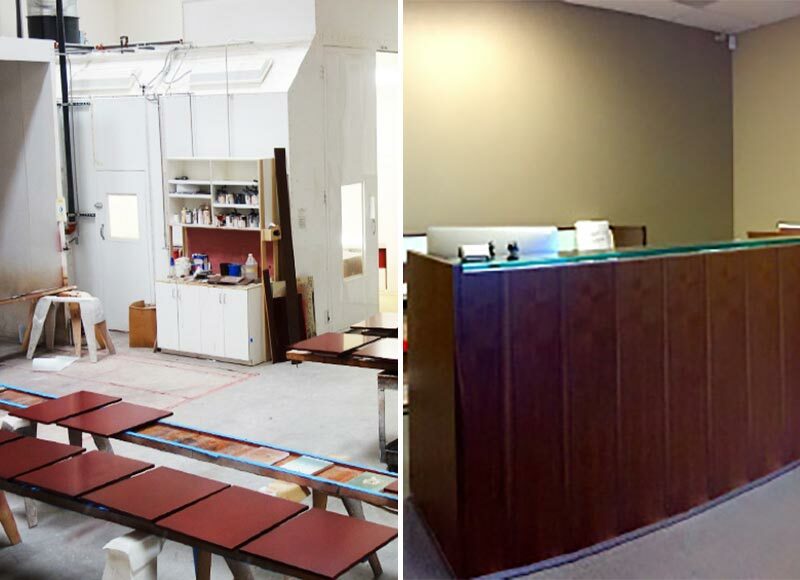 We completed final onsite touch ups and millwork finishing for the wall panels, baseboards, crown mouldings, doors, and frames. 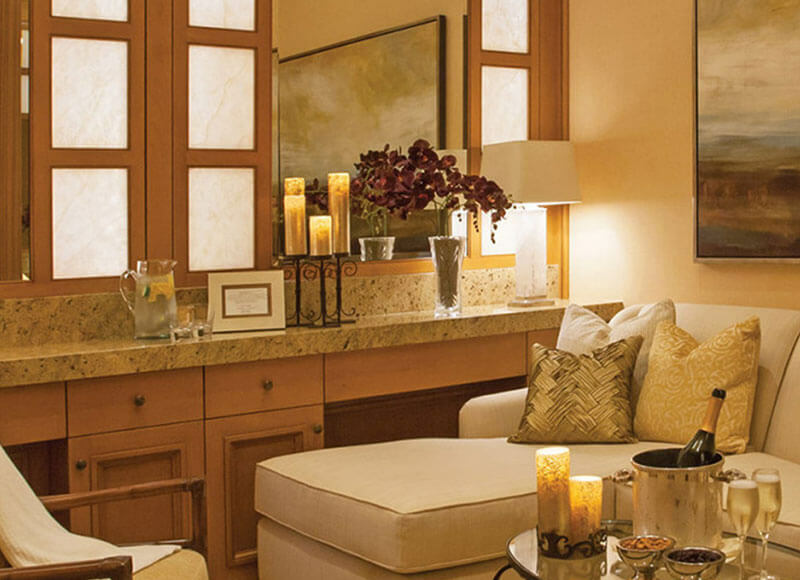 The relaxed comfort of Pelican Hill is inspired by the work of the 16th century architect Andrea Palladio. 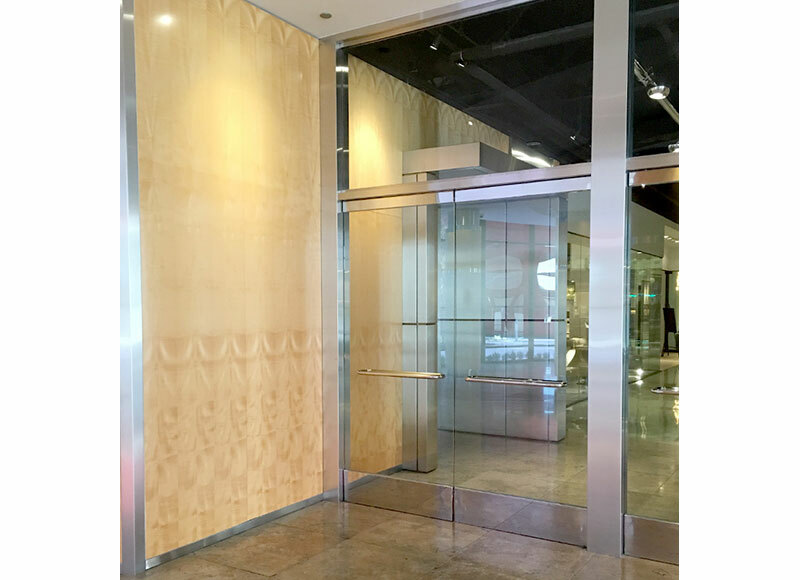 This extensive commercial field finishing project a in Las Vegas at the Cosmopolitan required specialized wood finishing and veneer repairs. 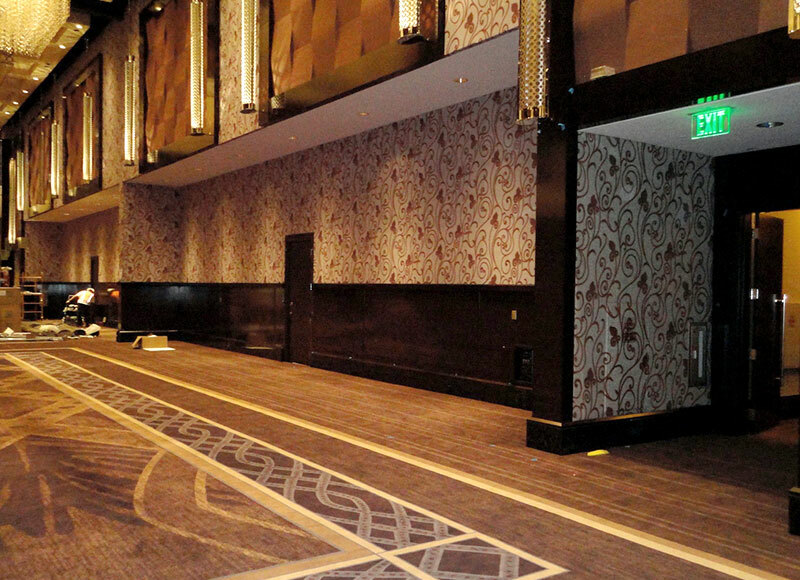 We refinished all the wood paneling, baseboards, columns and wainscotting for their conference rooms and ballrooms. 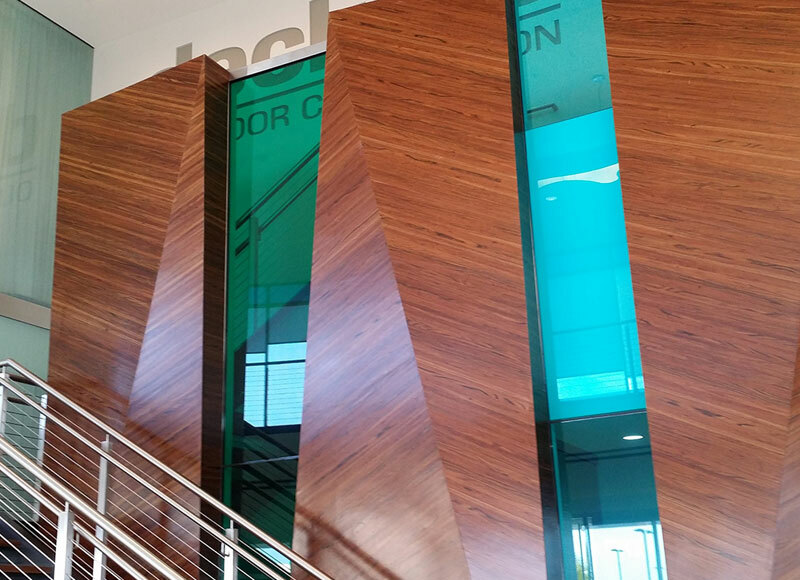 The solid and veneered Wenge wood received a rich, espresso-colored stain. 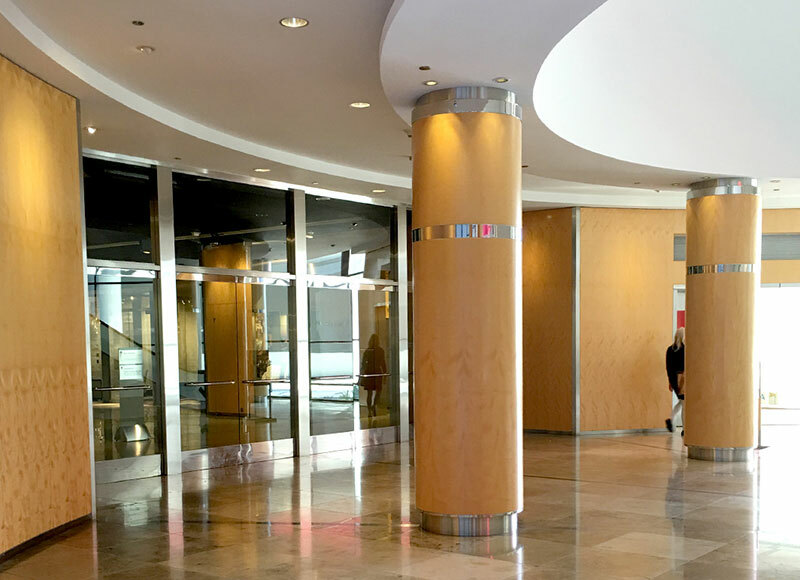 C T Finishing provides premier commercial refinishing services for Southern California, Las Vegas, New York, and other major cities throughout the U.S. We have over 25 years of experience in finishing for wood, granite, marble, and metal surfaces. 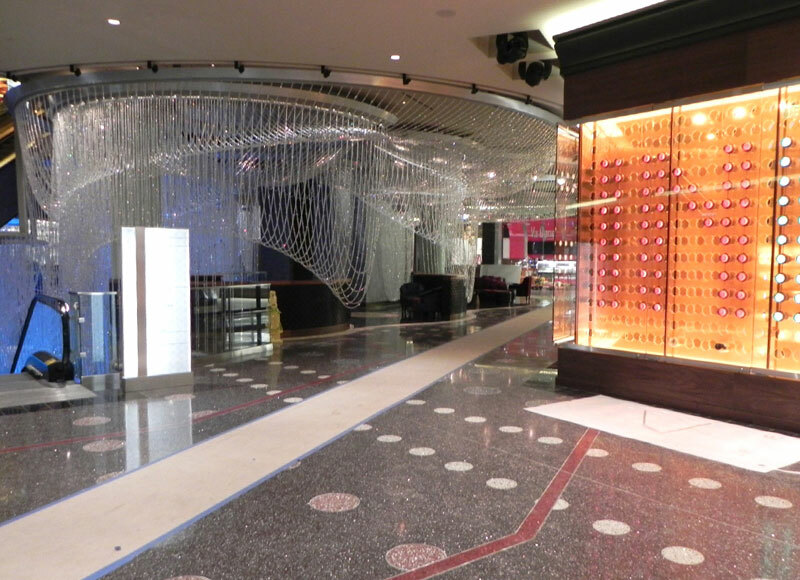 The shops at the Cosmopolitan Resort in Las Vegas received expert wood finishing courtesy of our highly skilled team. We performed on-site touch ups and field finishing on all the shops and restaurant facades to bring back their original glow and luster. 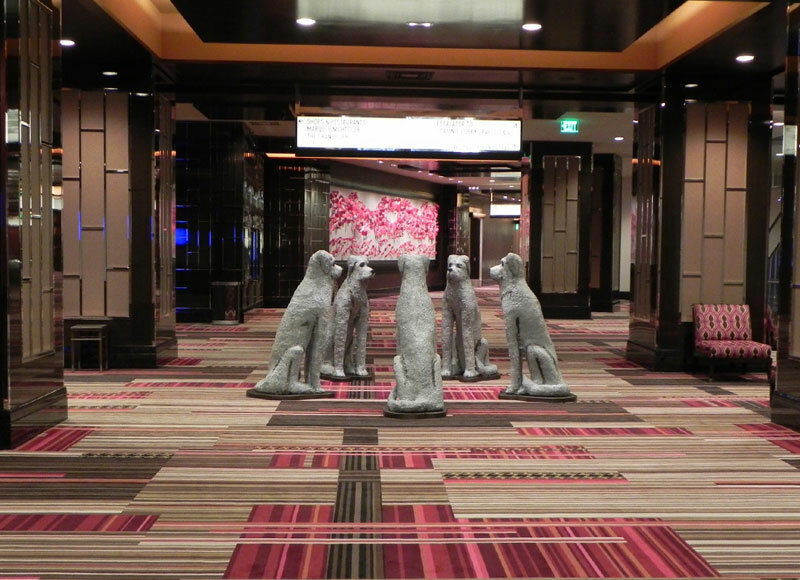 C T Finishing provided commercial wood finishing in Las Vegas for the poolside cabanas at the Aria Resort and Casino. After performing general touch-ups, we used a dark ebony oil stain on the solid Ipe wood slats. 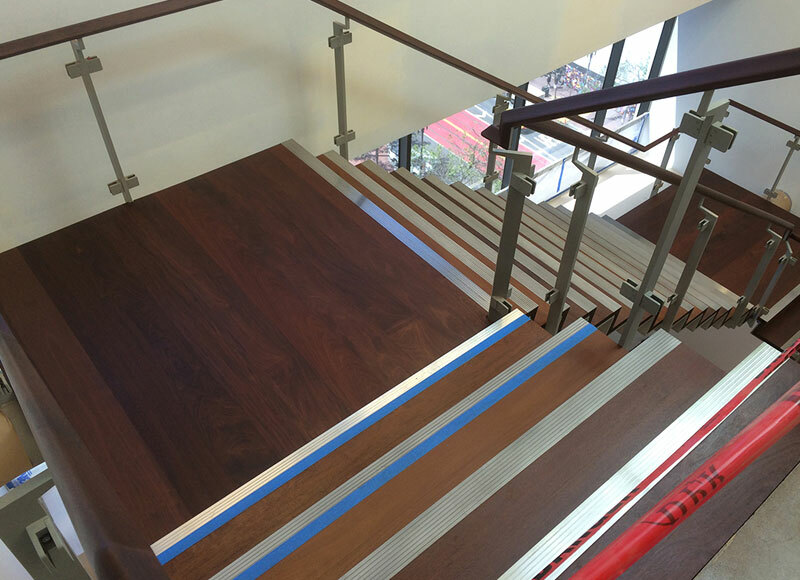 These solid Ipe handrails, risers, and stair treads required a clear oil wood finishing. 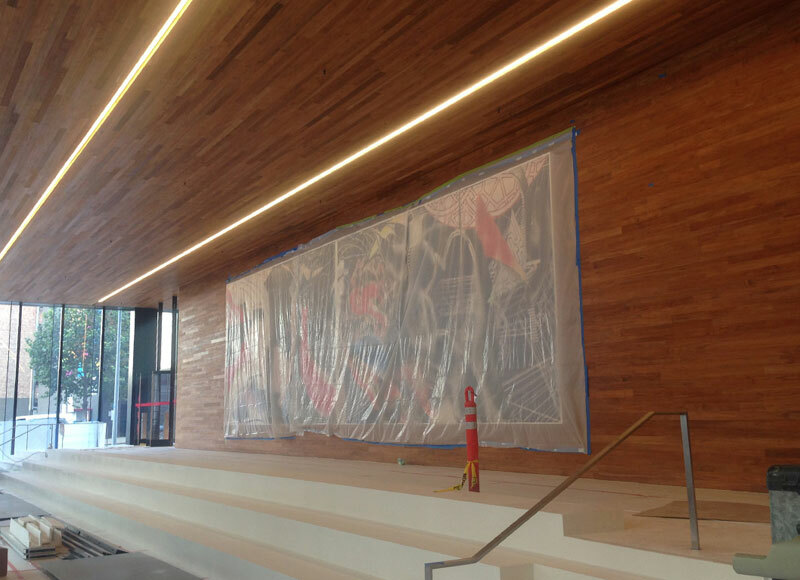 The San Francisco LightHouse for the Blind hired us to provide final finishing on-site at their facility. 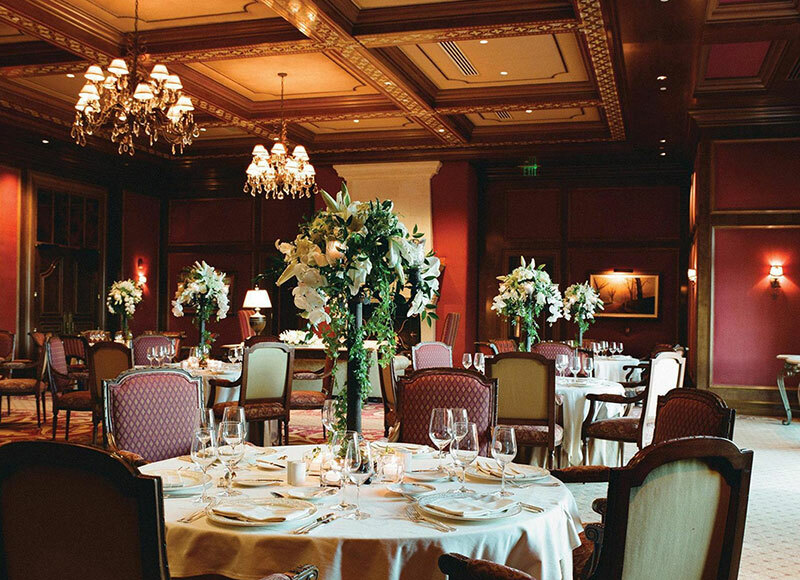 We provided general touch-up services, wood finishing, and specialty finishing in San Diego for one of the luxurious restaurants at the Grand Del Mar Resort. 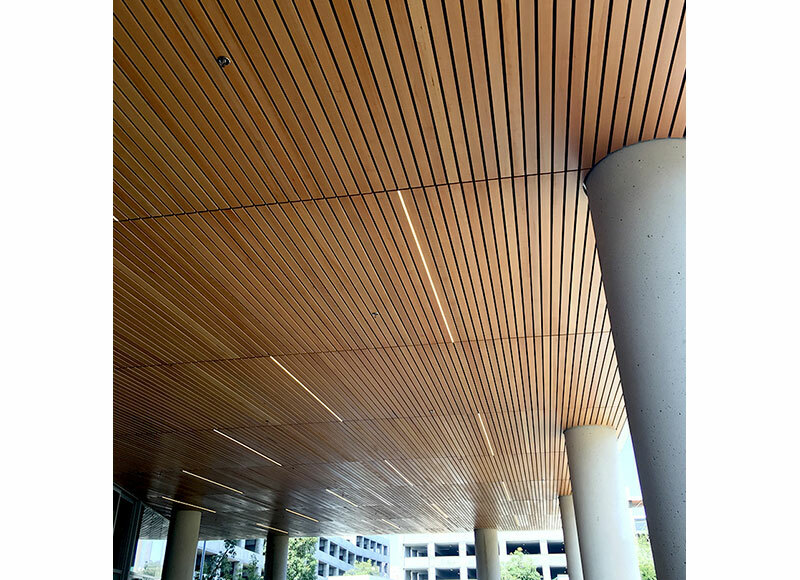 This condominium in San Diego received wood restoration courtesy of our skilled team. 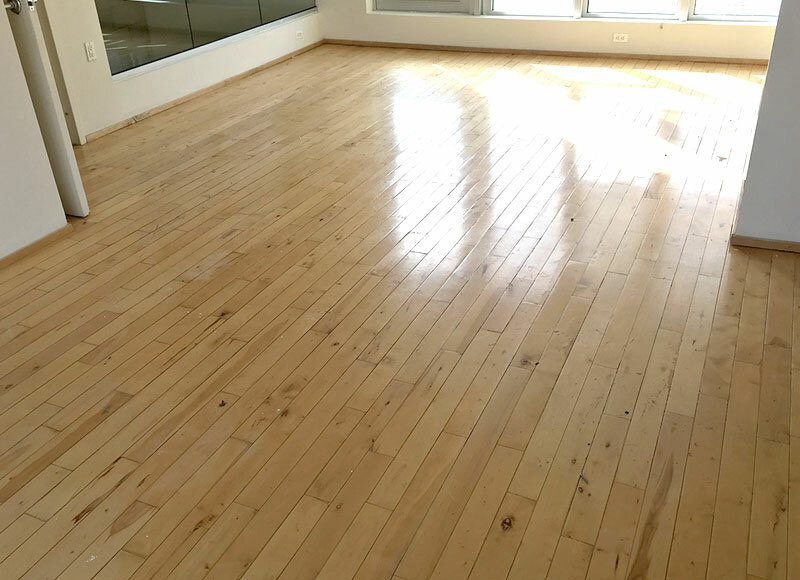 We touched up and repaired indentations, scratches, and chips throughout the natural hardwood flooring. 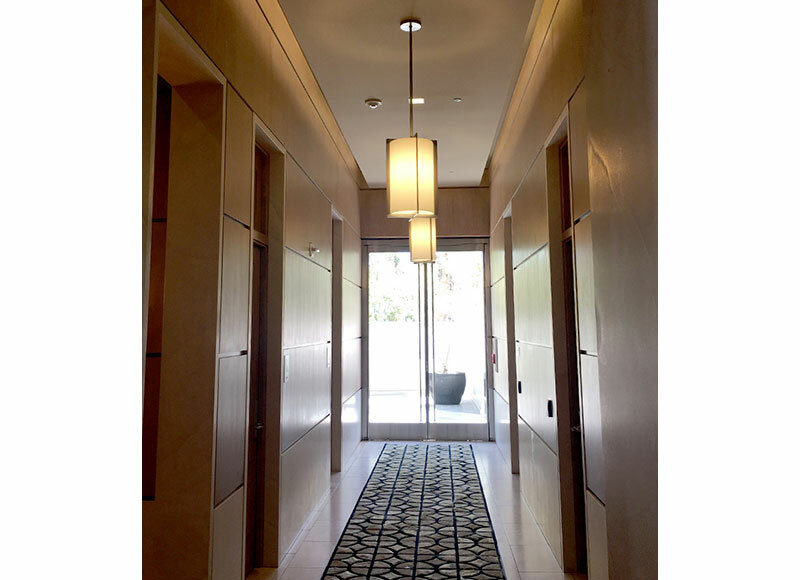 C T Finishing provides premier commercial finishing in Los Angeles, Las Vegas, San Diego, San Jose, San Francisco and beyond. 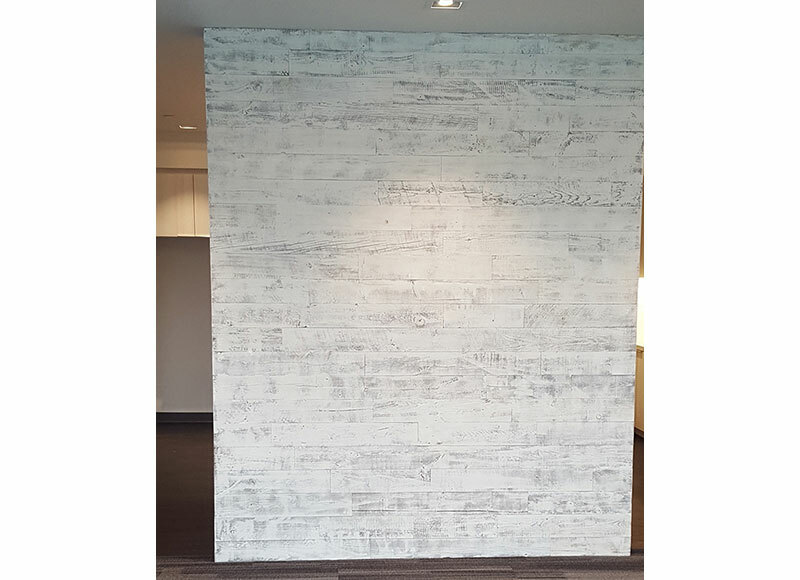 We offer a wide range of specialty wood finishing services, such as the installation of this distressed, white washed Stikwood reclaimed wood planking. 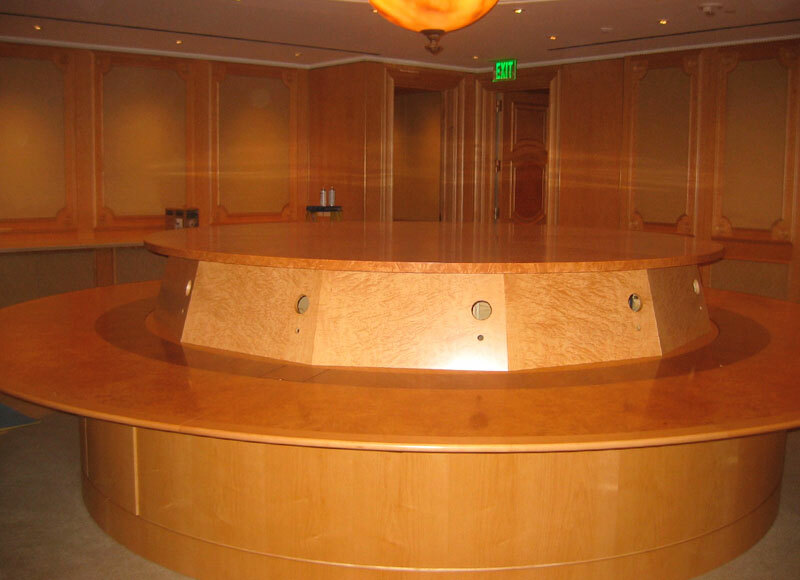 We finished the Capital Group executive conference room with a custom stain on solid and veneered cherry wood. 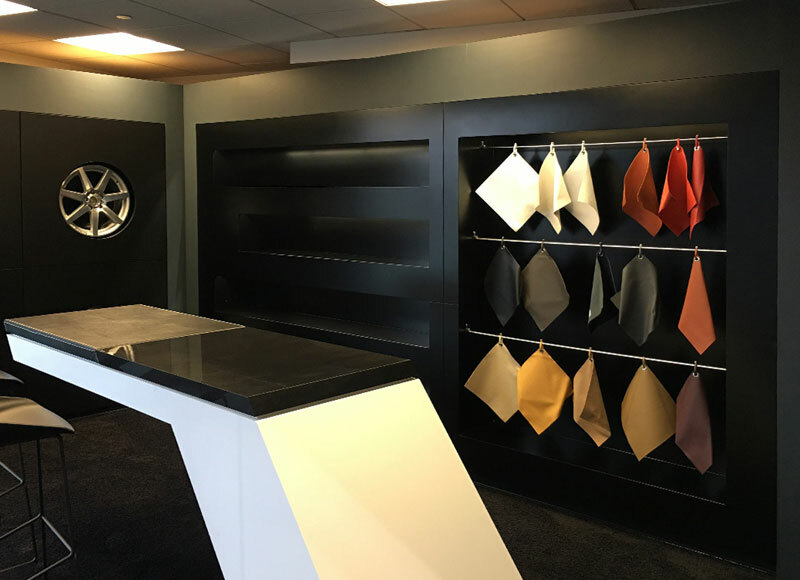 C T Finishing is well known for providing premier custom color matching services throughout Orange County, Beverly Hills, Los Angeles, and surrounding areas. 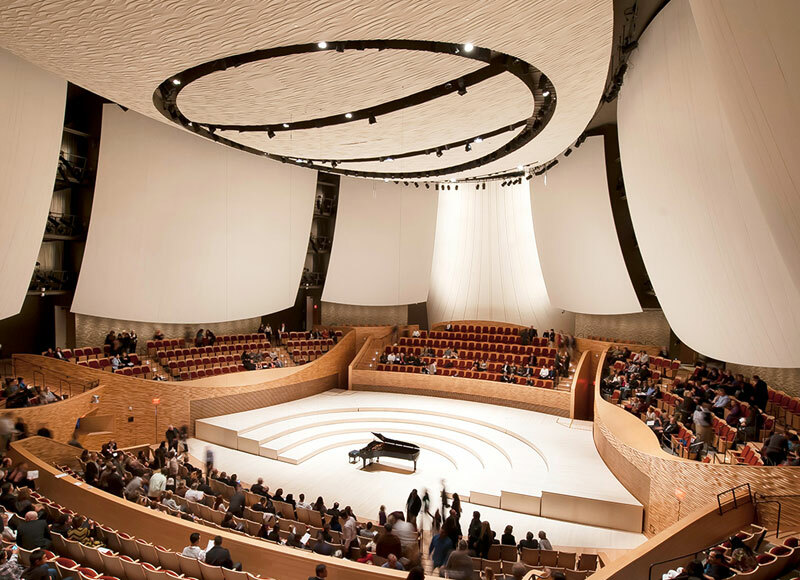 Our experienced team completed field finishing at San Diego State University. 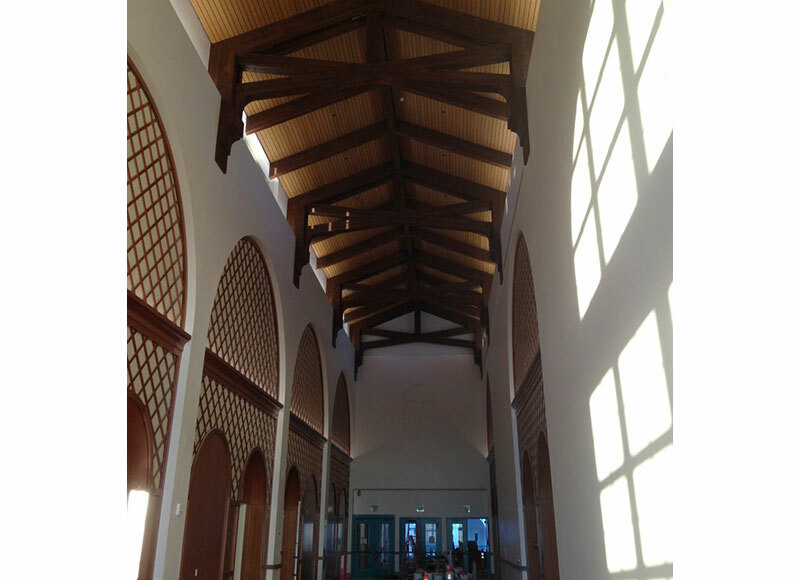 We refinished the wood beams and arches along one of their central corridors. 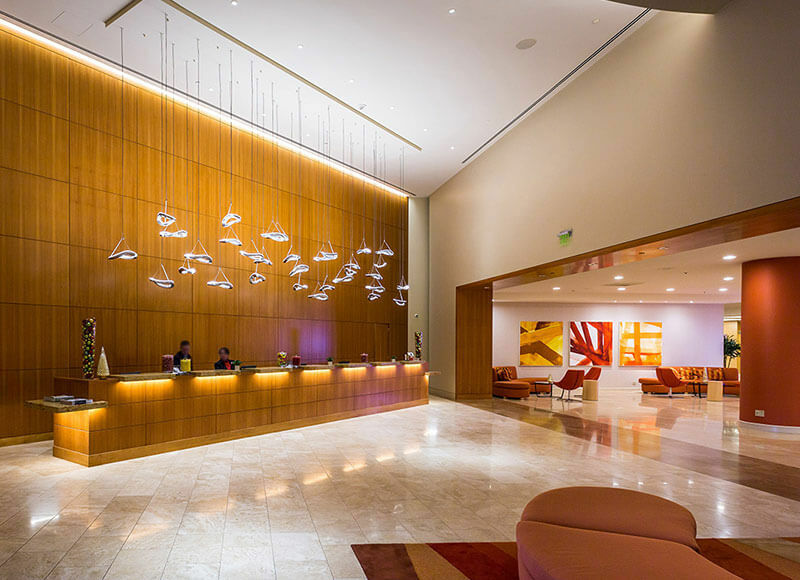 Our highly skilled team provided high quality wood finishing for the Hotel Irvine. We refinished the solid teak slats with a clear finishing oil specifically designed for use on exterior surfaces. We refinished this beautiful armoire for a Newport Beach client. It features a custom distressed finish on solid hardwood. 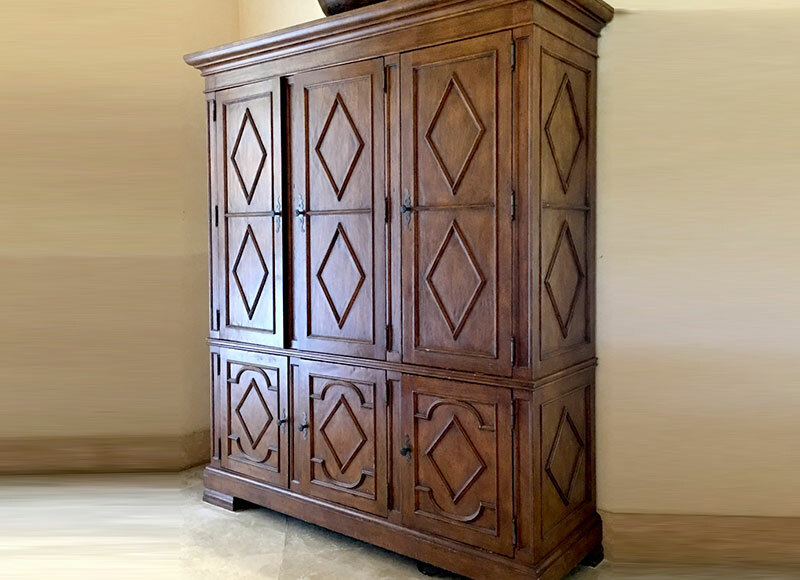 We offer a wide range of high quality wood restoration services throughout Orange County, including lacquers and conversion varnishes, wood antiquing, faux finishing, and more. We custom-color matched new cabinet doors for this kitchen remodel at a Bel-Air estate. The client was adding a new center island and walk-in pantry, and needed a custom stain to exactly match the color and sheen of the existing kitchen cabinets.